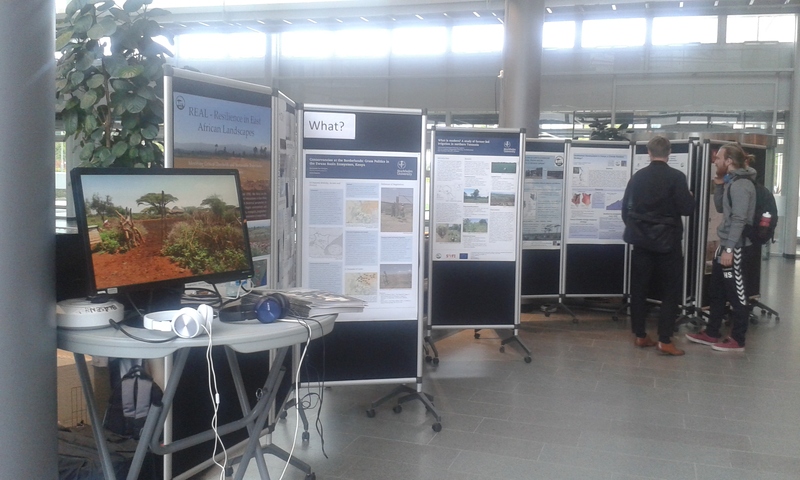 On 23-24 September, the Nordic Africa Days, arranged by the Nordic Africa Institute, took place in Uppsala. 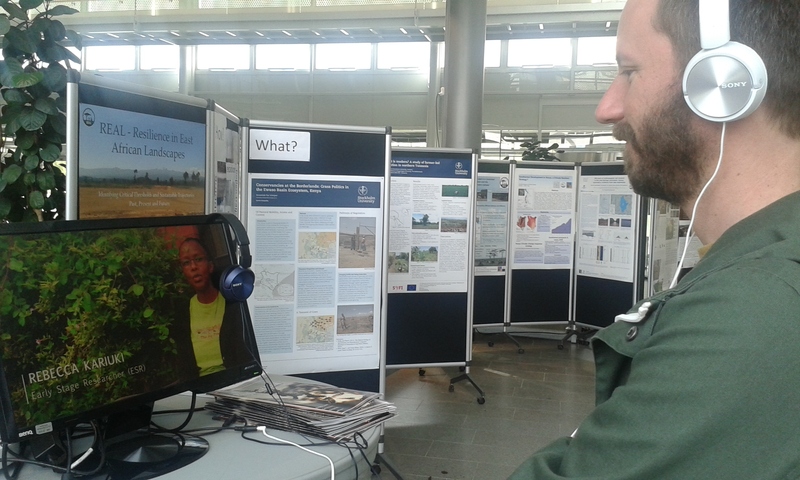 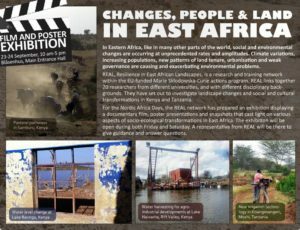 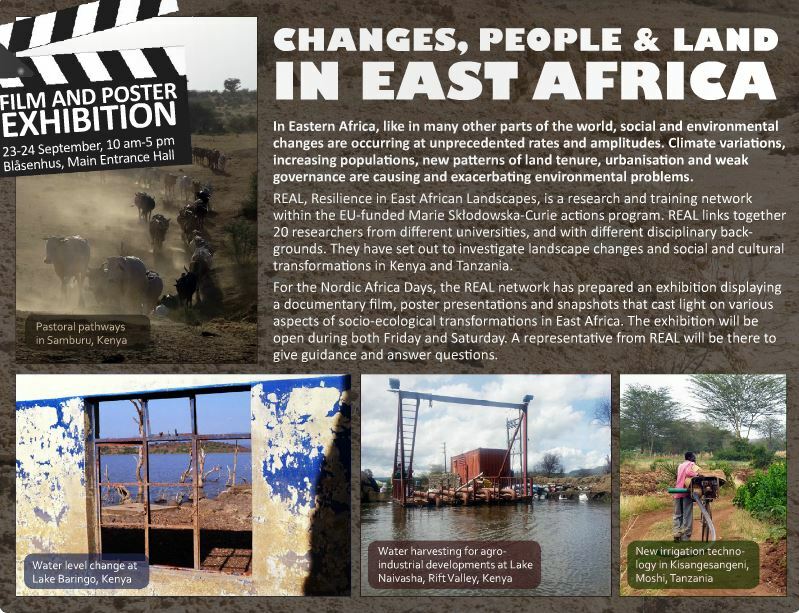 REAL participated with an exhibition – “Changes, People & Land in East Africa” – that displayed a trailer of the web documentary we are currently working on as well as posters featuring various aspects of the ongoing research. REAL Experienced Researcher Franziska Bedorf was present to give guidance and answer questions. 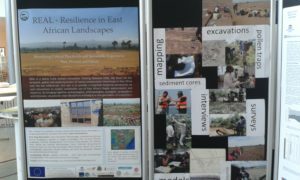 The event was a great opportunity for us to discuss insights and questions that have been emerging from the REAL research projects with a diverse audience, not least researchers working on similar issues. A big thank you to the Nordic Africa Institute for organizing the conference!